Bring your swim suit and a camera. We are holding a photo scavenger hunt. 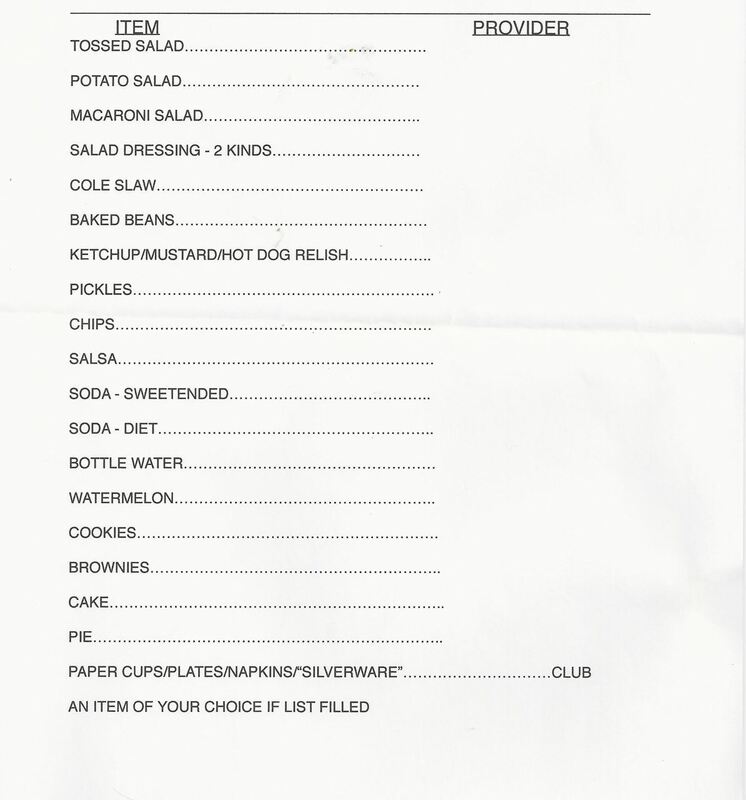 We have attached the the pot luck picnic sign up sheet.